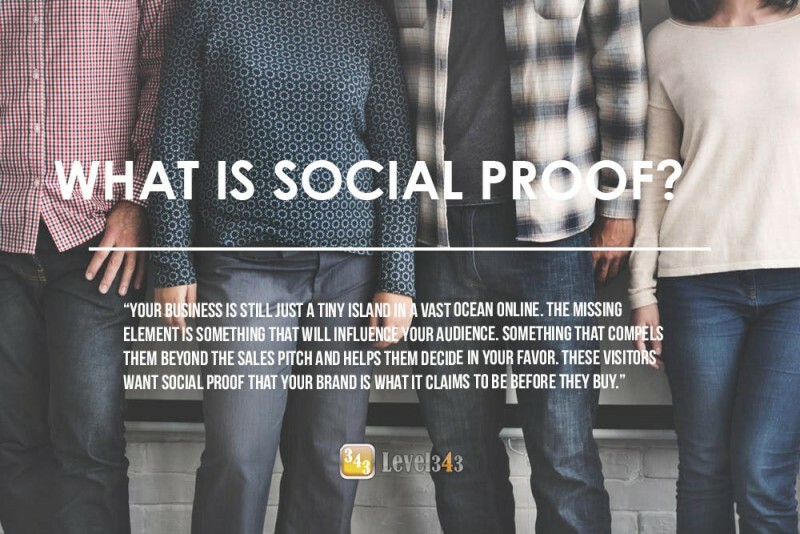 Home/Online Marketing/Persuasive Marketing/What is Social Proof? You’ve set up a site featuring a product or service you believe will be beneficial to your market, written great content to inform and engage your readers, and leveraged marketing strategies to draw in traffic. Everything is ready to go and working like a dream. Yet there’s still something missing; visitors need a little extra motivation to convert into customers. How can you help them make that decision with confidence? Enter the psychology of social proof. Your business is still just a tiny island in a vast ocean online. Putting your brand on the map takes more than SEO and well written articles. The missing element is something that will influence your audience. Some that compels them beyond the sales pitch and helps them decide in your favor. These visitors want social proof that your brand is what it claims to be before they buy. Growing up, you may have heard your parents ask, ‘If everyone jumped off a cliff, would you do it too?’ Though the question was meant to encourage you to make decisions independent of your peers, it reveals a fundamental truth: social actions influence our choices. We may fight against it at times, but we can’t deny most of us are influenced in some way by the actions of others. Social proof uses that basic influence to encourage a specific behavior based on the experiences of others in a similar situation. Put simply, if you learned that those jumping off that cliff lived through the experience (perhaps it was a safe, short drop into a pool of water!) and enjoyed it, you might seriously consider following them. If your friends bragged about how fun the dive was, you may decide to try it too. Likewise, if visitors knew many of your customers were happy with their purchase, they would be more inclined to buy for themselves. Someone just like them made that leap and tested the waters already. In this way, visitors can make the conversion into customers, reassured that your brand will help them as well. Humans are naturally social creatures. We are designed to learn from each other’s mistakes and successes, persuaded by what we see as a majority opinion. Being ‘part of the crowd’ makes us feel accepted and validates our decisions. A choice made by many others is therefore thought to be more accepted with less chance of disappointment. While each customer evaluates the information for themselves, adding social proof gives them the opportunity to validate or reassess their decision. If a visitor isn’t interested, the influence probably won’t force them to buy anything. However, for those on the brink, the influence can provide an additional way to rationalize the purchase. Think of it as kinder, gentler marketing by persuasion. Social proof works best when visitors can identify and connect with those giving testimonials or reviews. Pictures and background stories help visitors draw parallels to their own lives. Taking this route means acquiring a variety of customers with different backgrounds to reach more deeply into your target market. Other ways to add social influence include adding literal influences: have an authority in your industry create a review, or endorse your brand. 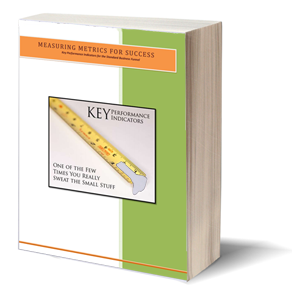 Even a simple buyer counter or rating can be used for similar results. The idea is to have third party proof in your company that others can trust. Social proof isn’t just another marketing hoop for you to jump through. It’s a very real psychological phenomenon that has been extensively studied by many marketers and psychologists under the more scientific name of “informational social influence”. To see it in action, just stop by Amazon.com and look at the reviews. It doesn’t matter how much you want a product; if you see negative reviews, you’re much less likely to buy. As you think about ways that you might garner, build and display social proof, be careful. There’s a line between no proof and enough proof, where the influence will actually work against your efforts. For example, a counter of two buyers won’t compel the same as 200 or 2000 will. Until your site gains momentum, err on the side of caution before including social proof into your strategies. Obviously, the proof must be genuine. Falsifying testimonies or promoting “popular” items that aren’t selling well are tactics that not only don’t work for long, they’re also illegal. Finding reviews can take time initially, but the result will be worth the wait. If you need guidance with your website and sales, contact us for a consultation. We specialize in finding and removing the weak spots in your marketing efforts.